NASHVILLE, Tenn., Feb. 12, 2019 /PRNewswire/ -- One Vision Music Group is proud to announce the release of Kree Harrison's "I Love The Lie," the debut song from her forthcoming 2019 album, to be available on iTunes, Amazon, Spotify and all digital retailers on March 8. The song, which was co-written by Chris Stapleton, Morgane StapletonandLiz Rose(Taylor Swift, Carrie Underwood), will go to radio on February 25. Check out CMT's "Exclusive Song Premiere" of "I Love The Lie"HERE. Produced by Jordan Lehning and Skylar Wilson, the release of "I Love The Lie" marks an exclusive recording and publishing agreement for Kree, who was introduced by industry veteran David Polemeni, to Nashville-based label One Vision Music Group, a subsidiary of Visionary Media Group. Says Clayton McDonnell, head of A&R for One Vision Music Group, "Kree is an extraordinary talent whose voice is both resounding and soulful all in one. We are thrilled to be part of her bright future." 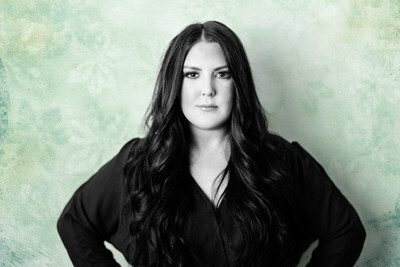 Says Kree of the song, "I've been thankful to have been immersed in Nashville's songwriting community from the start of my career, and have learned it's not always about writing every song, but finding the ones that immediately speak your truth, which is exactly what happened when I heard 'I Love The Lie.' Working on this project has made me find a piece of resilience within myself I didn't know existed, and I feel like this special song gives a taste of that." Kree gained immense success and a worldwide following as runner up on Season 12 of American Idol; her successful debut single and Idolfinale song, "All Cried Out," reached #34 on Billboard'sHot Country Songs chart. Following Idol, her highly acclaimed 2016 collection This Old Thing, hit #28 on Billboard's Top Country Albums chart and #20 on the Heatseekers Album chart. Kree has also collaborated with Kacey Musgraves, Keith Urbanat the Grand Ole Opryand Wynonna Judd and the Eli Young Band. Raised in Woodville, Texas, Kree spent her childhood singing at churches, rodeos, weddings and competitions. By 10, she had opened for Percy Sledge, won "Artist of the Year" from Kirbyville Playhouse; sung three times on "The Rosie O'Donnell Show"; and scored a development deal with Lyric Street Records, which resulted in her move to Nashville. Kree is currently in the studio writing and recording material for her sophomore full-length album to be released later this year. Plans for her forthcoming album and 2019 tour dates are to be announced. Check out her Grand Ole Opry duet with Keith UrbanHERE.